This beautifully cared for single-family property is ready for you! From the moment you enter you'll know you are home. 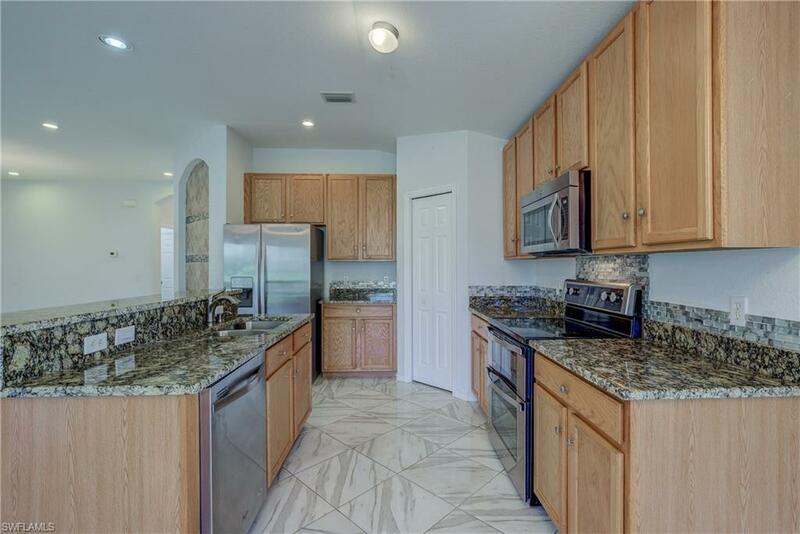 The open floor plan is perfection allowing the chef in the family to share in the fun. 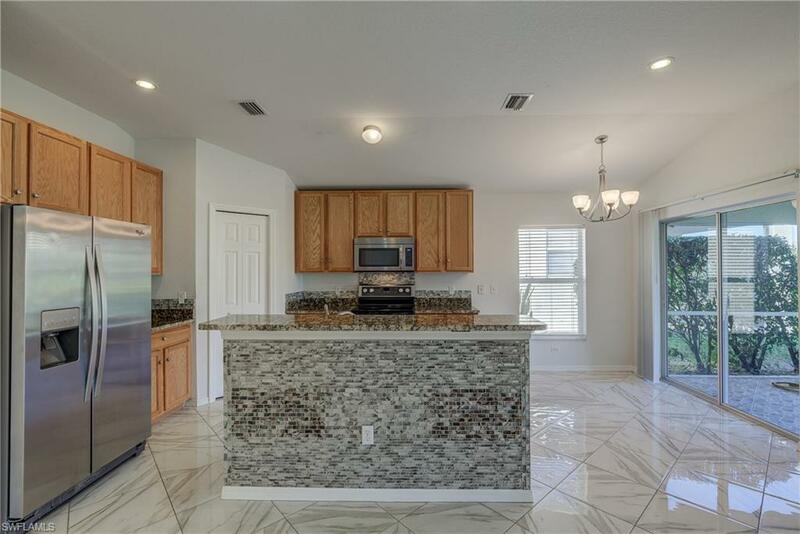 The kitchen features granite countertops, stainless steel appliances, glass tile backsplash, an island with breakfast bar and a pantry. You have the option of having an informal and formal dining area if you choose. The great room is awesome with tile floors laid on the diagonal, arch details, high ceilings, recessed lights and amazing views outside. 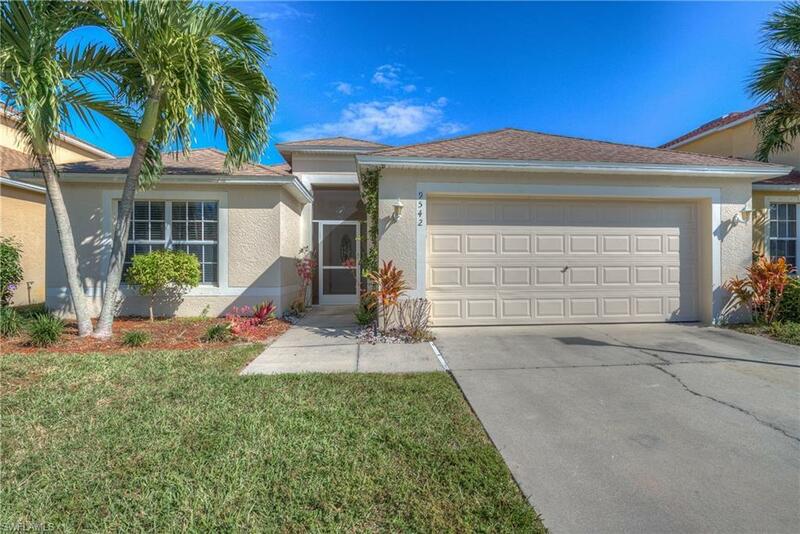 A HUGE covered lanai is just steps away overlooking a tranquil lake. Northeast exposure mean stunning sunrises everyday! The master suite is an oasis with tile floors, large walk-in closet, dual sinks and a shower. The guest rooms are sized nicely and separately located allowing for privacy. They share a bath with a walk-in shower. 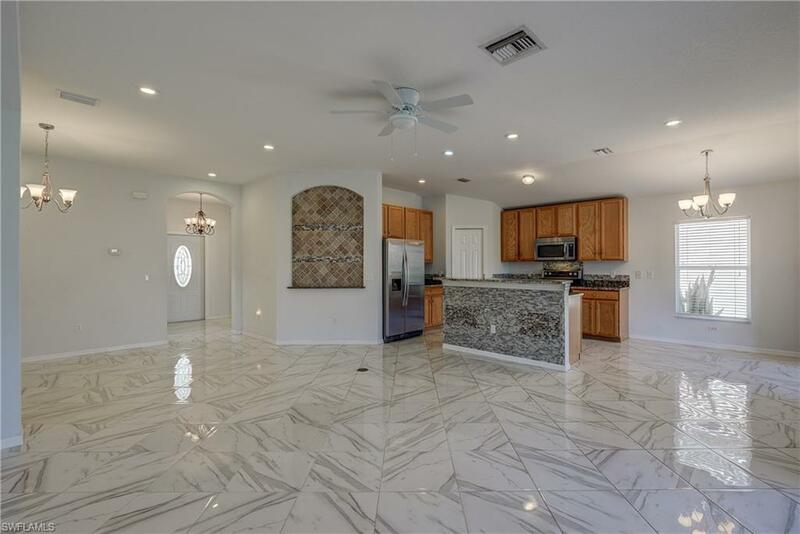 The home is located in the gated community of Calusa Palms of A&W Bulb Rd in South Fort Myers which offers many resort-style amenities including a clubhouse, pool and sundeck, playground, tennis, bocce courts and more. Don't delay as homes in this perfect quaint community don't come on the market often.